Her research interests include: historic memory and human rights during the Cold War in Latin America, archives and history, and contemporary Central American history. She is equally interested in religious movements and ethnic identity in Latin America, Pentecostalism and other Protestant movements, and the intersection of religion and politics in Latin America. 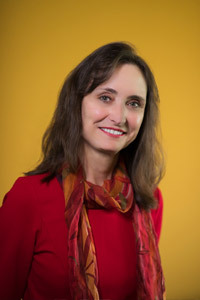 Virginia Garrard-Burnett received her Ph.D in History from Tulane University and has been on the faculty at the University of Texas since 1990. Her most recent work, which she co-edited with Stephen Dove and Paul Freston Cambridge History of Religions in Latin America, was published in April, 2016. She is author of Terror in the Land of the Holy Spirit: Guatemala Under General Efraín Ríos Montt, 1982-1983 (Oxford, 2010); Terror en la tierra del Espiritu Santo (Guatemala: AVANCSO, 2012); Viviendo en La Nueva Jerusalem (Guatemala: Editorial Piedra Santa, 2009), Protestantism in Guatemala: Living in the New Jerusalem (University of Texas Press, 1998). She is co-editor, along with Mark Lawrence and Julio Moreno of Beyond the Eagle's Shadow: New Histories of Latin America's Cold War (University of New Mexico Press, 2013). She has also edited On Earth as it is in Heaven: Religion and Society in Latin America (Scholarly Resources, 2000) and co-edited with David Stoll, Rethinking Protestantism in Latin America (Temple, 1993). . She is also co-author, with Peter Henderson and Bryan McCann, of the forthcoming History of Modern Latin America (Oxford University Press). This course will offer a broad exploration of the main literature and theories that pertain to religion in Latin America. The course will take a historical, chronological approach, examining topics such as indigenous religions before Contact, the “Spiritual conquest” of the Americas, the hybridization of religious experience in the Americas, and the religious dimensions of the African diaspora. It will also explore and theorize the historical and modern religious transnationalism, from pilgrimage to shrines to missionaries and international televangelism. Finally, it will interrogate the interaction between religion and (post) modernity in Latin America and the Caribbean. This course will use newly developed digital archives to explore modern Central American history, with a particular focus on revolution and counterrevolution in Guatemala (1954-1996), El Salvador (1979-1992), and Nicaragua (1961-1990). Approximately half of the course will consist of readings and discussion regarding the major historiographical works of recent Central American history in order to provide a context for subsequent research. The other half will consist of original student research using digital archives. The final grade will be primarily based on a semester-long research project, with the end product being either a traditional research paper or an original work of digital scholarship. Kirsten Weld, Paper Cadavers: The Archives of Dictatorship in Guatemala (Duke, 2014) and additional bibliographical material. Text: Students will receive an extensive bibliography from which they will select the books to be discussed in this course. Grading criteria: Grades will be based on 1) in-class formal presentations based on readings 2) informal but highly integrated participation in class discussions, 4) peer reviews and discussion groups and 4) the successful completion of a publication-quality research or historiographical paper. Class grades will employ the plus (+) minus (-) system. This course will chronicle the history of Central America from the independence period to the present day. The class will focus on the Liberal-Conservative political polemic during the nineteenth century. It will examine the economic and political relationships that evolved between these nations and the foreign industrial powers, particularly the United States at the beginning of this century. Moving forward, we will explore the social and political turmoil that characterized the region during the last decades of the twentieth century, interrogating the “Central American crisis” of the late 1970s and 1980s through the interpretive lenses of the Cold War and also of local resistance. Finally, this course will examine the “paradox of peace”—the rebuilding of civil society in Central America and issues of historic memory in the post-war period. Part I: Explores the formative political ideologies and economic and social structures that evolved during the Central American nations’ quests for nationhood during the nineteenth century. Part II: Deals with the Anglo-American rivalry on the isthmus and the emergence of the American economic and political hegemony in Central American during the late nineteenth and early twentieth centuries. Part III: Examines Central America’s social and political revolutions that took place during the second half of the twentieth century. Here, we will explore the impact of the Cold War on Central America, and the paradox of peace in the early 21st century. Woodward, R.L. Central America: A Nation Divided, 3rd ed. (Oxford, 1999). Please bring a notebook to keep track of the (many) primary-source readings we will go over in class. This course surveys the history of Latin America from the period of the Wars for Independence in the early nineteenth century until the present. While the course aims to provide students with an understanding of the region as a whole, due to time constraints it will focus primarily on the histories of select countries, including Argentina, Mexico, Brazil, Cuba, and Colombia. Drawing upon primary documents, audio/visual materials, and works produced by historians, the class will explore the racial, class, and gender hierarchies that emerged out of the region’s colonial and precolonial past and their impact on the lives of Latin American people. We will explore the struggle to create “nations” and the emergence of a neocolonial order in the nineteenth century. We will also examine the ways that popular mobilization against neocolonial social hierarchies led to the refashioning of the “nation” throughout the twentieth century. The course will conclude with an examination of the ways Latin Americans are navigating the increasingly transnational world of the early twenty-first century. Thus, the arc of the class prompts students to think about the history of the Americas as a history of transnational processes. (1) Enable students to develop a working knowledge of the key social, political, economic, and cultural developments in Latin American history since the Wars for Independence. (2) Expose students to the complex relationship between local level developments and transnational processes across time and space. This seminar will focus on the social and political history of the five nations of Central America in the 19th and 20th centuries. We will read the historiography that examines critical issues such as: the emergence of agrarian republics, the challenges of state formation in the 19th century, the influence and intervention of the “great powers” (Great Britain, the United States, and transnational corporations), the historical impact of natural disasters, the emergence of a “banana frontier,” the development of active and passive protest movements, and the Cold War in Central America. We will frame much of our discussion around how these themes are affected by and affect questions of race, class and identity. Finally, we will look at questions relating to long-term violence and historical memory, and how they impact and influence our understanding of a nation’s recent traumatic past. Weekly readings and discussion. Two in-depth presentations to class on readings. 25 research paper, based largely on primary sources. This course will seek to identify the different ways in which religion has helped to define the political, social and philosophical structures of Latin America from colonial times to the present. Readings and discussion will focus on the historical influence of the institutional Roman Catholic church on Latin American society. The course will also explore the role that folk religion--from cofradias to millennialist movements--has played in the Latin American experience. Finally, the course will examine important changes in traditional Latin American religiosity in the twentieth century, including the impact of Liberation Theology and the growing influence of non-Catholic religious sectors. 1 research paper of between 15-20 pages. Students will submit outlines, drafts, and rewrites of the term paper. This course will explore the modern Guatemalan history through the lens of the Historical Archives of the National Police (AHPN). The main focus of the course will be on Guatemalan history between 1954-1996, between the CIA-sponsored overthrow of President Jacobo Arbenz and the end of that nation’s 36-year long armed conflict. Students may, however, use the AHPN to explore earlier topics, such as the medical experiments that took place in the 1940s or police relations with the public going back as far as the Archive’s beginnings, in the late 19th century. Students will produce a significant research paper based on materials that they locate in the AHPN. In addition, students in the course will help to “crowd source” the AHPN by tracking their research through this newly-acquired resource. Course stucture: During the first half of the semester, students will meet and discuss the major historiographical works of recent Guatemalan history in order to a proper understanding for the context for their research. During the second, they will work closely with AHPN documents and develop their research projects. Texts: Students will be provided with an extensive bibliography of Guatemalan historiography from which to choose their readings for this course. Grades will utilize the plus (+) and minus (-) system. What is Latin America? The large area we refer to as “Latin America” is not unified by a single language, history, religion, or type of government. Nor is it unified by a shared geography or by the prevalence of a common ethnic group. Yet Latin America does, obviously, exist. It is a region forged from the merging of diverse cultures and historical experiences. In this course, we will explore the ways that various competing groups have “created” Latin America by introducing the ideas, issues, and values that define the region. The first third of this course will explore the cultural context of the “discovery” and conquest of Spanish and Portuguese America. We will examine in detail the ways in which European, African, and native America ways of life blended and clashed to form Latin American society. The second portion of the course will deal with some of the themes of Latin America’s quest for identity and nationhood during the nineteenth and twentieth centuries. It will focus on such issues as civil war, social banditry, ethnic relations, and Latin America’s relationship with the industrial powers. The final third of the course will examine some specific trends and prevalent ideas in Latin America during the twentieth century, including revolution, military rule, population growth, and the relationship between development and the environment. We will also examine the “erasure” of national boundaries, as Latin and North America converge through immigration and globalization. This course consists of reading, lectures, discussion, and multimedia presentations. Please have the assigned reading done before you come to class. Our class meetings will consist of discussions on the lectures, the readings, and the visual material. Please be aware that discussion and multimedia presentations are not optional or “filler”; they make up an integral part of the course. Because of this, it is imperative that you attend each class. Discussion sessions:A discussion group for this course will meet for one hour each week at a time and location to be determined by the TA. Participation in the discussion group is not mandatory, but it is highly recommended. Students who attend at least 3 study sessions are exempt from doing the journal project. Language Component:This course is offered as an optional language component course. This means that the some of the assigned texts and supplemental readings are available in either Spanish or English or, in at least one case, Portuguese. In addition, the discussion group for this class will be conducted in English and Spanish on alternate weeks. The ability to read or speak Spanish is not required for this course, so participation in the language component is entirely optional. Tests will be given and must be answered in English. However, movie critiques and extra credit projects can be submitted in Spanish or Portuguese if you prefer. Class Policies:Please be on time and attend every class. If there us an urgent reason that you must be absent, please let one of the TA know by email and be sure to get the notes you missed from another student. I do not post my notes on Blackboard. This class is a technology blackout zone! Please turn off all electronics, especially cell phones and I-Pods, before coming to class. PLEASE TURN OFF YOUR WI-FI and use your computer only for taking notes during our class! No Facebook, no email, no Web browsing, no reruns of last night’s It’s Always Sunny in Philadelphia, nothing! Seriously. TAs will be monitoring and will ask you to shut down your computer if necessary. Academic Honesty:Anyone who turns in work that is not his or her own—the person who is claiming authorship—(l.e., downloaded off the Internet, plagiarized, borrowed from a friend, written by you but for a different class) will receive an F for this course, punto. Intellectual honesty is a minimum requirement for this course! Reading AssignmentsCourse packet available at I. T Copy.García Marquez, Gabriel. One Hundred Years of Solitude (1979)English, TJ. Havana Nocturne: How the Mob Owned Cuba and then Lost it to the Revolution (2008). This course contains a Global Culture flag. Research Seminar in Latin American History. May be repeated for credit when the topics vary. Prerequisite: Graduate standing, reading knowledge of Spanish or Portuguese, and consent of the graduate adviser. (1)	Enable students to develop a working knowledge of the key social, political, economic, and cultural developments in Latin American history since the Wars for Independence. (2)	Expose students to the complex relationship between local level developments and transnational processes across time and space. For honors candidates in Latin American studies. Individual reading of selected works for one semester, followed in the second semester by the writing of an honors thesis. Prerequisite: For Latin American Studies 679HA, Latin American Studies 359H, admission to the Latin American Studies Honors Program, and written consent of the Latin American Studies Honors Program adviser; for 679HB, Latin American Studies 679HA. Supervised individual study of selected problems in Latin American studies. Prerequisite: Upper-division standing and consent of instructor and the undergraduate adviser in Latin American studies. Preparation of a report to be counted toward the requirement for the master's degree under the report option. Prerequisite: Graduate standing in Latin American studies and consent of the supervising professor and the graduate adviser. Offered on the letter-grade basis only. Restricted enrollment; contact the department for permission to register for this class. Co-edited. Cambridge History of Religions in Latin America. Cambridge University Press, 2016. Co-edited. Beyond the Eagle's Shadow: New Histories of Latin America's Cold War. University of New Mexico Press, 2013. Terror en la tierra del espiritu santo: Guatemala bajo el general Efraín Ríos Monss, 1982-1983. Avancso (Guatemala), 2013. Terror in the Land of the Holy Spirit: Guatemala Under General Efrain Rios Montt, 1982-1983. Oxford University Press, 2010. El protestantismo en Guatemala: Viviendo en la Nueva Jerusalén. Guatemala: Editorial Piedra Santa, 2009. Editor. On Earth as it is in Heaven: Religion in Latin America. Wilmington Delaware: Scholarly Resources, 2000. A History of Protestants in Guatemala: Living in the New Jerusalem. Austin: University of Texas Press, 1998. Co-editor with David Stoll . Rethinking Protestantism in Latin America. Philadelphia: Temple University Press, 1993. Co-editor withJames Olson. An Historical Dictionary of the Spanish Empire. Westport CT: Greenwood Press, 1992. “Dissenting Religion: Protestantism in Latin America,” in Jehu J. Hanciles, ed. The Twentieth Century: Traditions in a Global Context (Volume 4 of The Oxford History of Protestant Dissenting Tradition. Oxford: Oxford University Press, forthcoming 2016. “Toward a Pentecostal Hermeneutics of Social Engagement in Central America? Bridging the Church and the World in El Salvador and Guatemala,” in Martin Lindhardt, ed. Winds of Change. New Ways of Being Pentecostal in Latin America. Lexington Books, forthcoming 2016. “Religion and Politics in Twentieth Century Central America,” in Douglass Sullivan-Gonzales, ed. The Oxford Research Encyclopedia of Latin American History. New York: Oxford University Press, forthcoming 2016. “Responses of the Churches to Political Violence in Central America: From Liberation Theology to Human Rights Past and Present,” in Alexander Wilde, ed., Religion and Violence in Latin America. University of Notre Dame Press 2016. Simultaneous publication of the above in Spanish as “La Respuesta de Iglesia a la Violencia Política en Centroamérica: de la Teología de la Liberación a los Derechos Humanos,” in Las Iglesias ante la violencia en América Latina: los derechos en el pasado y el present, Alexander Wilde, coordinator, Mexico: FLACSO, 2016. “Pentecostalism and Neopentecostalism In Latin America: Two Case Studies,” Virginia Garrard-Burnett and Justin Doran, in Susan Fitzpatrick-Behrens and Manuel Vasquez, eds. The Oxford Handbook of Latin American Religions. New York: Oxford University Press, forthcoming 2016. “Community Culture and Control in Guatemala," in David Carey, ed. Distilling the Influence of Alcohol: Aguardiente in Guatemalan History. Gainesville: University of Florida Press, 2012. “Christianity in Central America,” in Charles Farhadian, ed., Introducing World Christianity. London: Blackwell Publishers, 2012. “Under God’s Thumb: The 1976 Guatemala Earthquake,” in Lyman Johnson and Jürgen Buchenau, eds. Aftershocks : Earthquakes and Popular Politics in Latin America. Albuquerque, University of New Mexico Press, 2009. “Living with Ghosts: Death, Exhumation and Reburial Among the Maya in Guatemala,” in “The Politics of Collective Memory-Making,” Latin American Perspectives, May 2015 (42)(3):180-192. “De lovløses helgener,” Religioner.no 04/7/2013 (translation by Hans Olav Arnesen, of “Mexico’s Saints and Anti-Saints”). (Norway). “Time and the Maya Apocalypse, 1982 and 2012,” The Annex: A New Journal of Narrative and Experimental History, December 2012 (1)(1): 19-31. ”A vida abundate: a teologia de prosperidade no América Latina,” História: questões & dabates:religiões: história, política e cultura na era contemporânea (55) (2011): 177-194 (actual publication date, 2012) (Brazil). “Like A Mighty Rushing Wind: Pentecostalism in Contemporary Latin America,” in Lee Penyak and Walter Petry, Religion and Society in Latin America: Interpretive Essays from the Conquest to the Twenty-first Century. Maryknoll NY: Orbis Books, 2009. "Stop Suffering? The Ireja Universal do Reino de Deus in the United States." In Conversion of a Continent: Contemporary Religious Change in Latin America, edited by Timothy Steigenga and Edward Cleary. Rutgers University Press, 2007. Co-authored with Carlos Garma Navarro. "Protestantism(s) and Mayan Worldviews in Chiapas and Guatemala in the Context of Civil Violence." Social Sciences and Missions 20 (2007). "God Was Already Here: Mayan Inculturated Theology." In Resurgent Voices in Latin America: Indigenous Peoples, Political Moblization and Religious Change, edited by Timothy Steigenga and Edward Cleary. Rutgers University Press, 2004. "Mayan Theologies and De-Westernized Christianity." In Christianity and Native Cultures, edited by Kavita A. Pullapilly, Bernard J. Donahoe, David Stefancic, and William Svelmoe. Cross Cultural Publications, 2004. "The Third Church in Latin America: Religion and Globalization in Contemporary Latin America." Latin American Research Review 39 (2004). "Charismatic Catholicism Meets Liberation Theology in El Salvador." Journal of Hispanic and Latino Theology (2004). "Popular Religion in Latin America: A Review of Recent Literature." Latin American Research Review (2004). "Inculturated Protestant Theology in Guatemala." In Christianity and Other Religions: A Dialogue, edited by Viggo Mortensen. Aarhus: University of Aarhus, Denmark, 2003 and Grand Rapids: William Eerdmans Publishing, 2003. "Igreja Universal do Reino de Deus: do Rios para o mundo." In Oro Les nouveaux conquérants de la foi: L’Église universelle du royanume de Dieu (Brésil), edited by André Corten, Jean-Peirre Dozon and Ari Pedro. Paris: Karthala, 2003. "A igreja universal nos Estados Unidos." In Igreja Universal do Reino de Deus: os novos conquistadors da fé, edited by Ari Pedro Oro, André Corten, and Jean-Pierre Dozon. São Paulo: Paulinas, 2003. "The Impact of Violence on Gender." In Women and Civil War: Impact, Organizations, and Actors, edited byKrishna Kumar. Boulder: Lynn Reiner, 2001. "Religion in Practice: Testimonies of Maya and Ladino Protestants in Contemporary Guatemala." In Religion in Practice in Latin America, edited by Gustavo Benevides. Princeton: Princeton University Press, 2001. "Indians are Drunks and Drunks are Indians: Alcohol and Indigenismo in Guatemala, 1890-1940." Bulletin of Latin American Research 19 (2000). "'Greek to the Greeks and Maya to the Maya': Protestantism and Ethnic Identity Among the Maya in Guatemala and Chiapas." Ibero-Amerikanisches Archiv: Zeitschrift für Sozialwissenschaften und Geschichte (1999). "'Like a Mighty Rushing Wind', The Growth of Protestantism in Contemporary Latin America." Religion and Latin America in the Twenty First Century: Libraries Reacting to Social Change (1997). "Order, Progress and Missions in Liberal Guatemala." Latin American Perspectives 93 (1997). "The Resacramentalization of the Profane: Government, Religion and Ethnicity in Modern Guatemala." In Questioning the Secular State: The Worldwide Resurgence of Religion in Politics, edited by David Westerlund. London: Hurst and Co., 1996. "El protestantismo en Guatemala." In La historia general de Guatemala, Fundación para la Cultura y Desarrollo. Guatemala: 1995. "God and Revolution: Protestant Missions in Revolutionary Guatemala." In Molding the Hearts and Minds: Education, Communications, and Social Change in Latin America, edited by John A. Britton. Wilmington: Scholarly Resources, 1994. "Protestantism in Latin America: A Review of Recent Literature." Latin American Research Review (1992). "El protestantismo, liberalismo, e impulso misionero: misiones evangélicas en Guatemala, 1880-1920." Mesoamerica 19 (1990). "Dios y revolución: el protestantismo en la época revolucionaria." Anales de la Academia de Historia e Geografia de Guatemala (1990). "Protestantism in Revolutionary Guatemala, 1944-1954." The Americas 46 (1989). "Protestantism in Rural Guatemala, 1872-1954." Latin American Research Review 24 (1989). "Onward Christian Soldiers: Protestant Nationalism in Guatemala.” SECOLAS Annals 19 (1988).